Mayor Bill Peduto prioritizes building up Pittsburgh communities, and thinks Amazon might soon be able to help with this growth at a local level, he said Thursday night. Peduto discussed local mobilization and urban development with Pittsburgh Student Government Council at Chatham University Thursday night. Representatives of student governments from Pitt, Carnegie Mellon, Chatham and Robert Morris asked questions regarding Pittsburgh’s social and economic initiatives, and the agenda policies Peduto envisions for the City by 2030. The group meets every month at different campus locations. 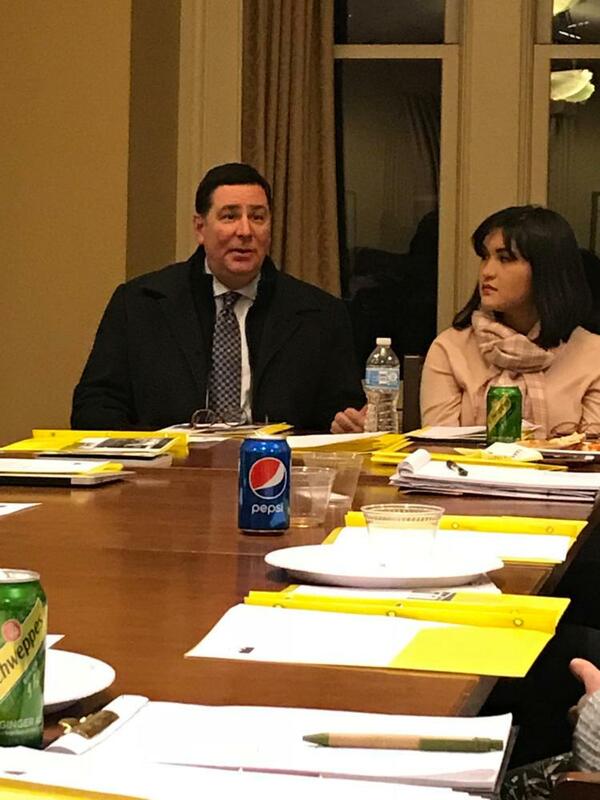 When Pittsburgh student leaders asked the mayor about Pittsburgh making it onto Amazon’s recent list of potential cities to establish its second headquarters, they sparked one of Peduto’s major points of discussion. Peduto said he would ensure that any new investments would bring in revenue to support and benefit low-income neighborhoods, and he was hopeful about what prospects this particular opportunity could bring for the City. As he has throughout the proposal process, he said that this will function like any development. Sophomore accounting major Danielle Wicklund, who serves as president of PSGC and vice president of Robert Morris’ student government, facilitated the conversation and introduced Peduto. Peduto engaged in a roundtable discussion with the students after giving background of his political career. He then explained some of the program goals for the City’s 2030 plan, including an urban wealth fund, universal pre-K education, purer water, decreasing homelessness and greener infrastructure. He also addressed the problems that could accompany these plans for expansion. Pitt Student Government Board President Max Kneis guided the questions about the City’s prospects with Amazon toward issues of gentrification and social and economic inequities. He then followed up with questions about Peduto’s plan for more affordable student housing, and how he will improve relationships between tenants and landlords, and students and local community members. Peduto said the City has been on the defense about its zoning laws for some time now, but is making significant strides for veterans and low-income communities under the City’s affordable housing fund. “It needs to come from the community level up. How can it provide a safe footprint for students while also protecting families?” Peduto said. He also suggested contacting Oakland Planning and Development Corporation as a good first step, and Kneis agreed with this collaborative approach to make improvements. Maria Taylor, a senior international relations and women’s and gender studies major at Chatham University, also asked Peduto about his thoughts regarding reintegration of the City’s prison population. Peduto said Pittsburgh is partnering with the Pittsburgh Trade Institute in an effort to provide formerly incarcerated individuals with job training and skill sets so they can find employment upon release. Taylor, who is heavily involved with foster youth and helping students avoid the school-to-prison pipeline, agreed with Peduto, but expected more concrete plans. Despite some leaving with unanswered questions, Wicklund said the council accomplished its goals for the evening in discussing housing, city investments and urban planning in Pittsburgh.